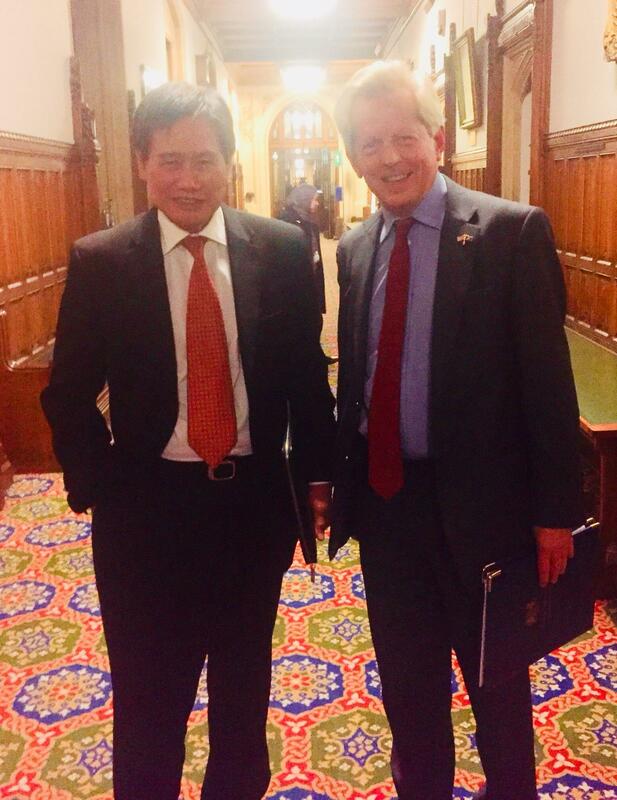 I was delighted to accompany ASEAN Secretary General Dato Lim Jock Hoi to many meetings on his first formal visit to London last week. The Sec Gen and his team met Government ministers, Parliamentarians, our ASEAN Businesss Council (ABC) the National Security Cyber Centre & the British Council during a busy programme. He will have left with no doubt, whatever the final shape of our future relationship with the EU, that the British government, Parliament and business community is united in wanting a deeper relationship with all ASEAN members and its umbrella Association. And I hope Dato Lim, who knows the UK well, will also have left with a closer idea of the some of the areas we can work together, not least as partners in strengthening areas of future growth like cyber defences, technical skills and professional standards. Everyone in the UK will have been impressed by the Sec Gen’s long experience in multilateral diplomacy, his knowledge of the important CPTPP and his understanding of ASEAN aims and challenges at a challenging time for the countries of SE Asia, mostly bordering the South China Sea. In all of this the UK is a reliable partner with no regional ambitions of our own, except in providing more of the high quality partnership in goods, services, technology and education, as well as defence and security, that has already developed considerably over the last few years.